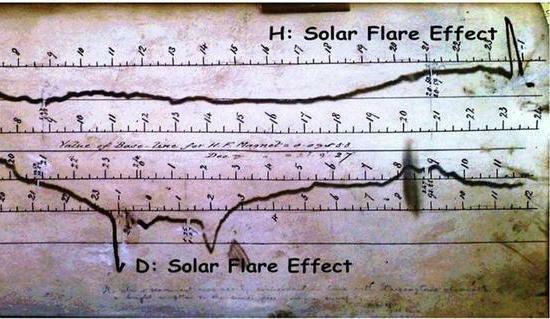 On September 1, 1859, the sun released a solar flare that was the equivalent of about 10 billion Hiroshima bombs exploding at the same time. As a trillion kilograms of charged particles slammed into the Earth's magnetosphere, it created the largest ever solar super storm on record. Called the Carrington Event (after English astronomer Richard Carrington who spotted the flare) it damaged the robust telegraph lines, and the Northern Lights were seen as far south as Cuba. But back then there were no intricate electricity power grids criss-crossing continents, no nuclear power stations, no large-scale agriculture based on the use of heavy, fuel-guzzling machinery, and no mobile phone network. Had the Carrington event happened today, the effect would have been devastating. If you stopped people in the street and asked them what worries them, it's fairly certain they'd talk about terrorism, climate change, banking collapses and nuclear war. A solar storm wouldn't be up there, but it should be. 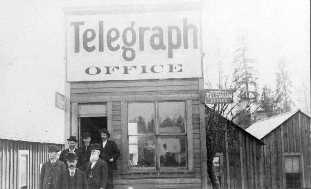 But other than the telegraph, humanity had very little dependence on technology at the time. If another Carrington Event happened today, it would be a complete and utter nightmare. A study by Lloyd’s of London has concluded that it would have taken a $2.6 Trillion chunk out of the global economy and it would take up to a decade to repair the damage. As a result of this collapse of the grid, the economy would collapse, and then society would follow. TEOTWAWKI. Unfortunately, scientists insist that it is going to happen at some point. The only question is when. A solar storm in July 2012 was a near miss, by days actually. With a little bad luck, our planet could have been devastated. Fierce solar blasts that could have badly damaged electrical grids and disabled satellites. The bursts would have wreaked havoc on the Earth’s magnetic field, matching the severity of the 1859 Carrington event, which is recognized as the largest solar magnetic storm ever reported on the planet. That blast knocked out the telegraph system across the United States. "Had the 2012 storm hit Earth, it probably would have been like the big one in 1859, but the effect today, with our modern technologies, would have been tremendous,” said Janet Luhmann in an interview for Reuters. Luhmann is part of the STEREO (Solar Terrestrial Observatory) team and based at UC Berkeley’s Space Sciences Laboratory. Luhmann and physicist Ying Liu of China’s State Key Laboratory of Space Weather led a team in analyzing the magnetic storm, which was detected by NASA’s STEREO A spacecraft and published their results in Nature Communications. Got the picture? This is why we prep.